This entry was posted on March 19, 2013 by Shahd Abusalama. 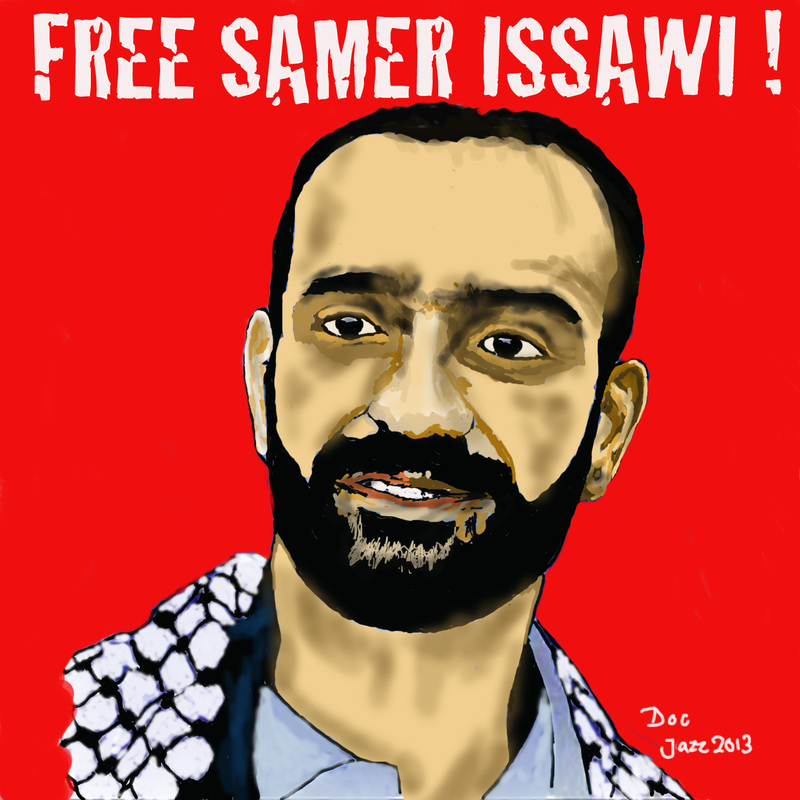 It was filed under Palestinian Political Prisoners and was tagged with Ayman Sharawna, Deportation, Doc Jazz, Ethnic cleansing, Gaza, Hunger Strike, Israeli Occupation, Israeli Prison Service, Palestine from my eyes, Palestinian Political Prisoners, prisoners swap deal, Samer Issawi, zionism. International law is meaningless. Especially when it comes to the Zionist regime. It is so very frustrating to witness this madness. Amerikan government does NOT care about Palestinians and I carry that shame daily. Blitzkrieg Obama will find himself in basement hell one of these days. Well him and Zionists in general. Be strong my Little Sister. I am an older Australian who has lived in a comfortable environment shielded from direct contact with crimes against humanity practised by Israel. So I believed that Ayman had, understandably, accepted the second best option of expulsion to Gaza. I thought that there he could reccover and continue as a fighter against oppression. I am humbled by Samer’s heroic comment. That he could continue to suffer for the Palestinian people and reject the possibility of qualified release is the noble act of a patriot and a hero. he must be inspirational to his people. To this distant observer he offers a ray of hope that people with this attitude can succeed against tyranny. I condemn the USA for supporting Israel and I am embarrassed that my own country stands mutely beside them.